The park is near the metropolitan areas of York and Harrisburg. From Harrisburg, take the Lewisberry Exit (35) of I-83 south, then PA 177 south; or by US 15 south to Dillsburg, then to PA 74 south. From York, take PA 74 north or I-83 north. From I-83, take the Newberrytown Exit (32), PA 382 west to PA 177 south. Discover the challenge of hiking the Mason-Dixon Trail. Join us on an interpretive, pontoon boat tour of Pinchot Lake. Experience the fun of flat-water kayaking, canoeing, or paddle-boarding on Pinchot Lake. Enjoy a round of disc golf with friends or family at one of our two 18-hole courses. No tent, no trailer, no problem! Enjoy a stay in one of our yurts or camping cottages with a gorgeous view of the lake. Hike one of our trails throughout the summer to discover the giant swallowtail butterfly, the largest butterfly found in the United States or Canada. In May, the eastern red bud trees can turn the park a lovely pink hue with their abundant blooms. A great time to discover the beauty of our spring woodlands! Check out the diabase boulders and rock outcrops throughout the park that make for picturesque lake scenes or spots for quiet solitude. 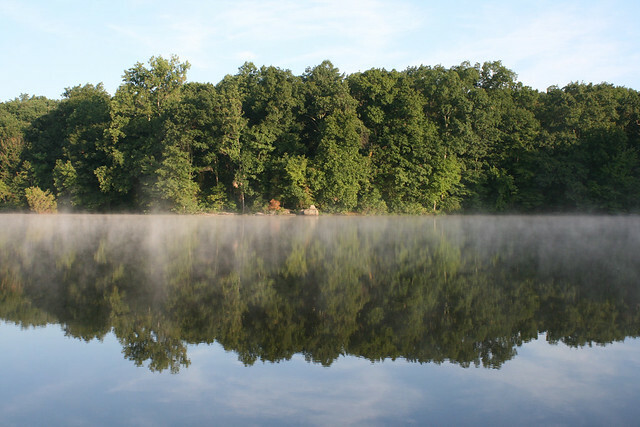 Pinchot Lake offers 340 acres of “Big Bass” waters to challenge even the most experienced angler, or plentiful bluegills to delight even the youngest angler with a fishing pole. Enjoy a night under the stars in the campground. Curriculum-based environmental education programs are available to schools and youth groups. Teacher workshops are available. Group programs must be arranged in advance by calling the park office. This activity or structure is ADA accessible. The park office is a completely ADA accessible building. If you need an accommodation to participate in park activities due to a disability, please contact the park you plan to visit.